Soldano|Luth Architects LLC specializes in residential, waterfront, and small commercial projects noted for their quality, elegance, and respect for the land. Our buildings can be found throughout the Pacific Northwest and the Mountain West including California, Oregon, Montana and Hawaii. From Seattle to Hawaii, we've designed tasteful and comfortable homes for families of all sizes and circumstance. Homes are more than rooms of necessity, they are life experiences. We are highly experienced in waterfront design and permitting. Our goal is always to create designs that do not intrude upon, but enhance these special landscapes. We have extensive experience reimagining existing residential & commercial buildings. We strive to seamlessly integrate new systems and spaces while creating compelling overall design. Waterfront sites deserve thoughtful placement and design. Soldano Luth has a high degree of expertise in waterfront design. Homeowners with waterfront property trust us to capture the delight of the landscape and create inspired homes for their special place. From flood zones to steep slopes and difficult access, we work to make complexities become assets. Our efforts are always directed at ensuring homes are responsive to the owner’s needs, integrated with the landscape, and timeless in style. The land is integral with the home. Soldano|Luth has created beautiful homes for discriminating homeowners all around the Cascade and Rocky west. Each project is treated as a unique opportunity to create a sense of home and place for owners. Designs are informed by and interact with the climate, land, and vegetation of the site. Homeowners aspirations are woven into the fabric of the design work to compliment the aesthetic. These influences are utilized in creative ways to actualize homes are are inspiring, rooted, and cherished for generations. Buildings can be re-envisioned, upgraded, and restored. 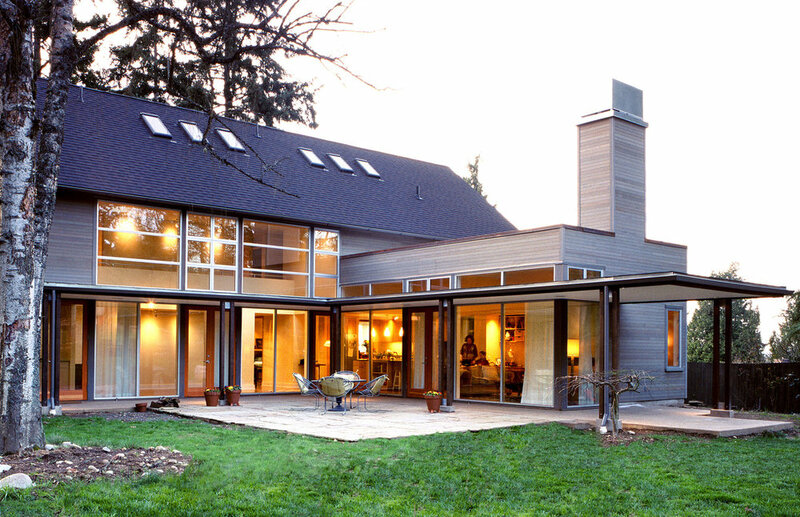 With a massive stock of existing buildings, remodeling is an essential part of architectural design. Soldano Luth has extensive experience remodeling, upgrading, and reimagining existing structures. Often with a few deft moves the building can become wholly new. Our efforts in remodeling always concentrate on program and add in our own desire to make any remodeled building elegant and new.